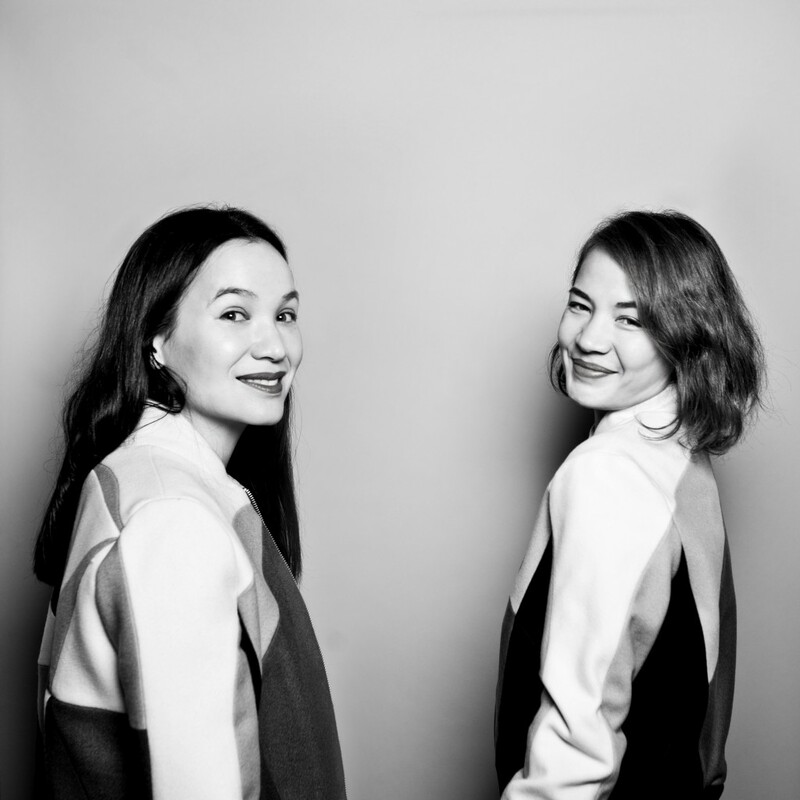 Same cheerful smile, same mischievous and piercing gaze, Christine Phung and Dorothée Hannequin share a limitless taste for production. 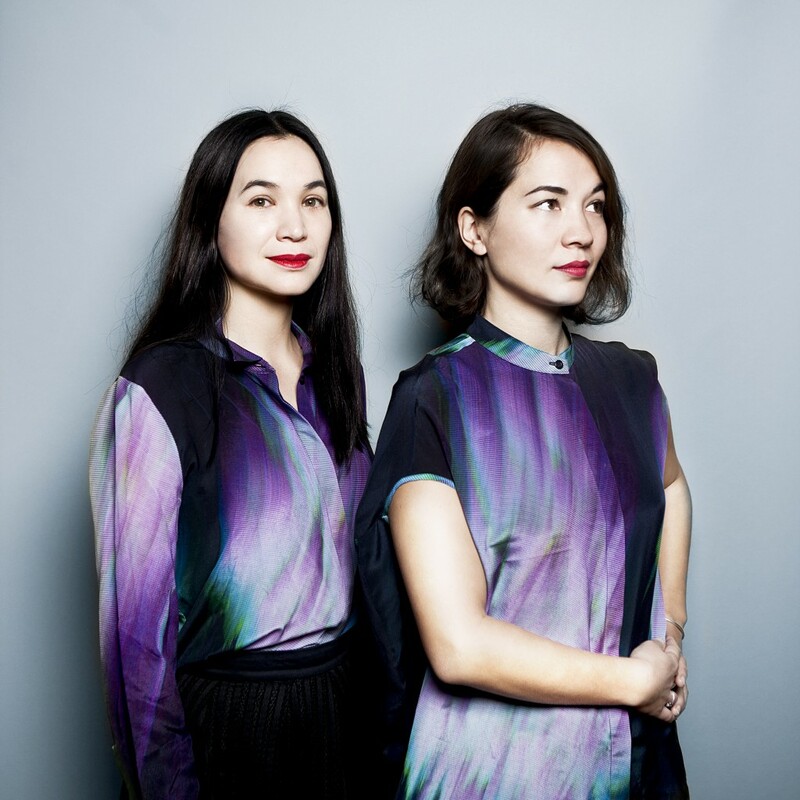 With her eponymous brand, Christine Phung is a rising star in the French fashion industry. She creates textured clothes with graphic vibrations, while Dorothée Hannequin creates spirited tracks with American influences, which she expresses through her emblematic voice, under the pseudonym The Rodeo. Read the conversation between the two talented and bold women, who are conquering their fate. Dorothée Hannequin: We’ve known each other for 15 years, is that right? Christine Phung: Already! That goes all the way back to the time when I was at Duperré. A guy in my class told me that he was going out with my lookalike! Dorothée Hannequin: Yes! Then, we met in a make up shop where you were working alongside your studies and it’s true that we look outstandingly similar! Christine Phung: Do you remember, at Rock En Seine, we swapped our coats to pull a prank on your boyfriend? Christine Phung: That’s so funny! People always asked me if I was the singer from The Rodeo. 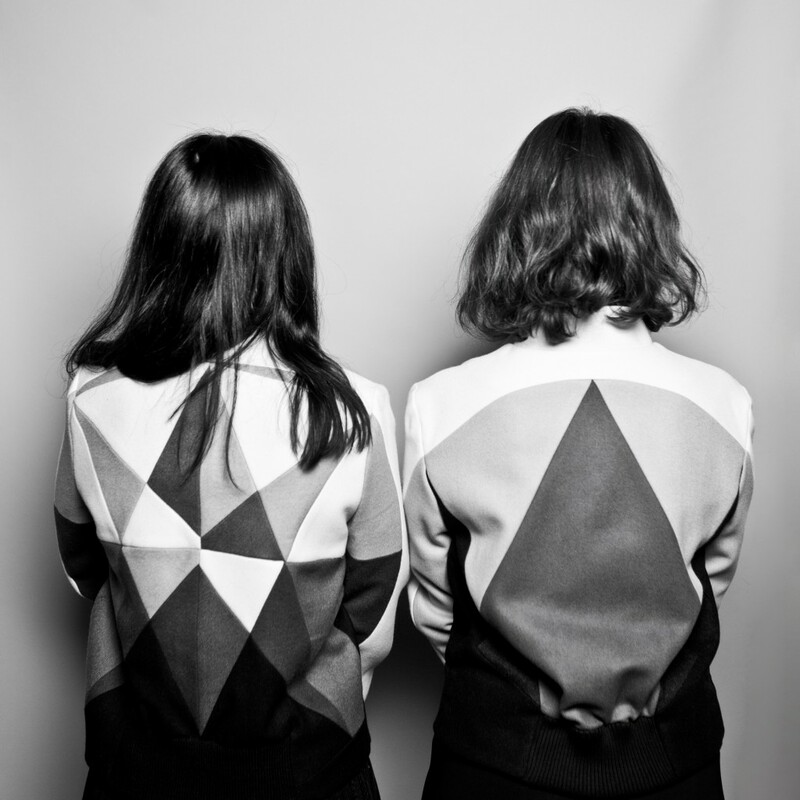 Dorothée Hannequin: We see each other about once a year. What are you up to at the moment? Christine Phung: For 8 years, I was working with fashion houses. My dream was always to launch my own brand, which I did in 2011. Unless you strive for creative freedom, you’ll be more tied down than ever. You have to have a business project which is financially realistic which can afford to employ people, keep them there and build a stable team. As for a small structure of 8 people like mine, it’s almost impossible. The first few years, I worked 80 hours a week and I didn’t dare take a day off. It’s quite difficult to maintain creative freedom, but it does mean that if I want to launch a bonkers collection tomorrow, I can. Do you find that as well? Dorothée Hannequin: From an artistic point of view, yes, I am free, I do whatever I like, and think about it after. If there is something that doesn’t really work, you’re the only one to blame. I like that, things move a lot faster. Without all of the people who work on the photos, the artworks, the clips, the recordings, I’d never get anything done. You have to surround yourself with people who push you to go further. Of course there are days where I run out of steam, it really takes it out of you. Christine Phung: For me, the question of meaning immediately comes up. You’ve chosen a life for yourself which is really going to take it’s toll on your emotions, your energy and your finances. You find yourself doing jobs that you never wanted to, like you said, you do accounting, management, sales, communication, human resources. I studied at the IFM (French Fashion Institute), a school founded on the success of the infamous Pierre Bergé-Yves Saint Laurent duo, the manager and the designer, the fundamental combination which every fashion house needs for success. When I launched my brand, I was effectively looking for a business partner, but I couldn’t find one. So I pretty much built it alone. Dorothée Hannequin: And your brand, it’s your name. Like me, with my anagram The Rodeo. How do you manage the financial side of your brand? Christine Phung: I finance it myself. I have a double-life, as in I do my collections and on the side I am the Artistic Director of another fashion house. The balance works like this: I reinvest everything that I earn into my brand. It’s complicated and the question of cost-effectiveness is pending. I have tried to make a few slightly more commercial pieces from some of my best sellers, but they are still too expensive, because they’re produced in France and in Europe, in small quantities. The difficulty is that people can love the collection, but they won’t spend so much on it. Dorothée Hannequin: It’s the same for CD’s! You can have great tracks but not reach your target audience. Christine Phung: Yes, luckily I have managed to have my brand stocked in 10 multi brand stores: in England, Germany, Russia, Chile and New-Caledonia, I have a corner at the Galeries Lafayette, in Montaigne Market and L’Exception. But now I have reached a turning point. It’s my 8th collection, and I have chosen to bring the pace down a bit. That’s why I didn’t showcase at the most recent Paris Fashion Week, because I want to make more luxurious capsule collections, and to take a bit more pleasure from it. It doesn’t have to be a compromise. Fashion falls between art, artisan and industry. You either need to work with the ‘see now buy now’ concept or decide to do something really historical and experimental. Dorothée Hannequin: For me, the principal is to be happy and proud of what I make, because it makes my team happy and also to push my limits every time, so I don’t end up repeating myself. I could make contemporary hits, but I don’t see myself in them. Remind me, how many times have you showcased a collection? Christine Phung: In fashion, we work in cycles of 6 months, we seek new things within tradition, you need to change things up a bit every time. The cycles of what’s in style are always broken, otherwise you end up repeating each collection. You don’t have a choice. The date and time of the fashion show is fixed, so you can’t change at the last minute. There are 3 months of production of the clothes showcased the season before, and then 3 months of design for the oncoming season. So it’s very quick and that means you have to have a creative stock to bring a collection to life very quickly. Dorothée Hannequin: Also, you have to be able to predict trends. 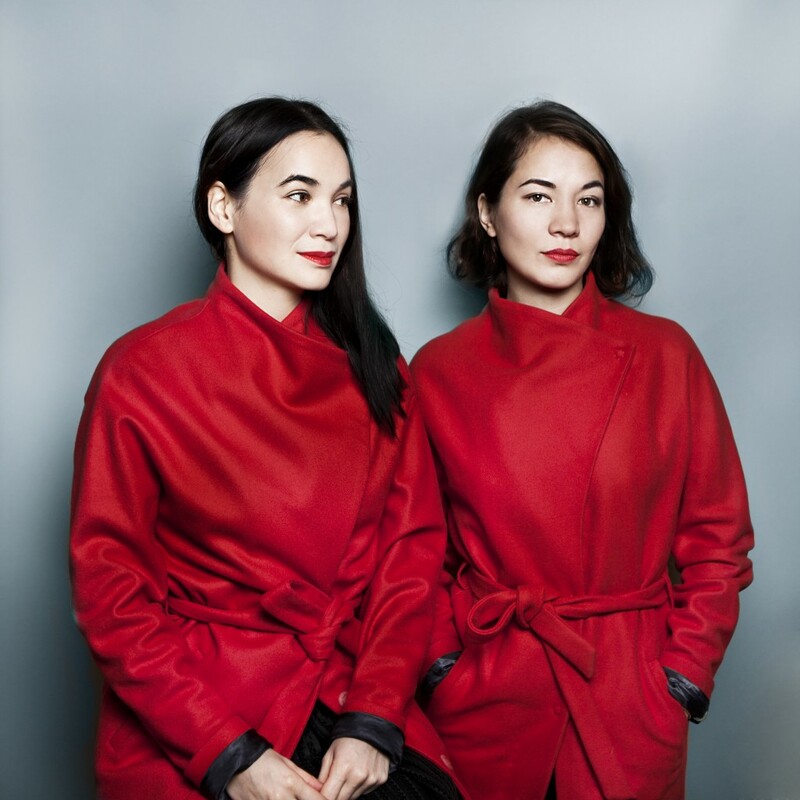 Christine Phung: Yes, you have to stay at the forefront of style and make quality products, even if you don’t have a huge couture studio at your disposal. Dorothée Hannequin: As for music, there is no specific rule book. Back in the day, an artist released an album every 3 years. Today, people make a single or an EP but not necessarily an album. Me, I release an EP or an album every 2 years. It really depends on my inspiration and whatever I have to say. I think it’s great that there is no longer that barrier. For example, Beach House released 2 albums within a week of each other. They caught their audience and the press off-guard, because they had been promoting one album, and then a week later, a second comes out! If it feels right to them to do something explosive, they should do it. What inspires you? Christine Phung: I really feed off holidays. Before I launched my brand, I was a stylist working for fashion houses, so I had holidays! It was great, I went on loads of holidays. The smells, the colours, the light, the landscape, the meetings, really feed my imagination. I hold onto these emotions and channel them into my designs. For example, There is a collection which is inspired by a woman who passes over the Nevada round fields, which are linked to watering systems. I’ve never been but I imagine it’s a mix of loads of things. How about you? Dorothée Hannequin: I’m the same, holidays inspire me a lot, even those holidays you go on just by watching a film, or through paintings and pictures. Everything inspires me, even a story that someone has told me, or a minor piece of news that I read in the papers… the first album that I released, Music Maëlstrom, was influenced by west America, where I have never been. My new album, La Musica Del Diavolo, which is an Italian title, began with two tours I did in Italy over the last few years. I met a ghost there, I didn’t believe it at all, but it was a godsend as a story for the album. Christine Phung: And do you think that Paris is the best city for making music? Dorothée Hannequin: It turns out that I mostly sing in English, even if I write some words in French. From a professional point of view, Paris is great for building your project. It’s very developed in terms of concert halls and all the musicians know each other. Though in terms of the ‘music scene’, it’s not the best place. The Parisian public have a bad reputation, they’re quite snobby, too bland and clean. Unlike London, for example, where people really let go and aren’t scared to jump around during a concert. Christine Phung: It’s true. In terms of fashion, there are 4 main cities: New-York, London, Milan and Paris. I think I’m in the right place here, because I like the identity of the Parisian woman which isn’t as commercial as the New-Yorkers or as luxuriant as the Londoners, or as ‘have you seen me?’ as the Milanese. Dorothée Hannequin: I really enjoyed singing at the launch of your first collection. Do you always do collaborations with other artists? Christine Phung: For my brand, I channel the idea of a ‘new-world’ woman, a woman from the digital world. That leads me to collaborate regularly with designers who’s work I really admire, notably Tzuri Gueta, two seasons ago, who developed a type of lace which had been injected with silicone. I’ve also made some dresses with a friend, Cécile Feilchenfeldt, who works with 3D mesh for big fashion houses such as Dior. How about you? Dorothée Hannequin: I also really like exploring other realms. I do rock/folk, but I definitely don’t want to become a lab rat who’s just constantly producing one type of music. I did an internet collaboration with D.L.I.D., a guy who makes electro music. We haven’t met each other yet. I also worked with Panteros666 who is a part of Club Cheval/Bromance Records team. This guy was a million miles from what I normally do. We get on really well. I like meeting new people. That’s also why I like this industry. There’s such an adrenaline rush. How long does a fashion show last for? Christine Phung : 10 minutes. Dorothée Hannequin: Ha that’s crazy! I’m such an admirer of your work. So much time is spent on a show which lasts 10 minutes. A concert can last for an hour. The pressure is on straight away. It’s practically immediate. People react so quickly, you can see it on their faces. Though when you’re backstage, you can’t see everything that’s happening and you’ll only find out the reactions to your collection after the show. It’s quite freaky. You must have so many sleepless nights. Christine Phung: It requires a lot of self-control, a kind of dexterity. I have to keep some mental freedom to be creative, otherwise I get caught up in material things, which are also the price of having this freedom. Dorothée Hannequin: You’re right! Everything moves so quickly these days. I want to be able to take my time to make sure that I’m doing everything well. Spontaneity is not always a pleasure. I think you can tell when something’s been made in a rush, I have already recorded an album quickly and you can hear the spontaneous side to it, but for the second album I really took my time and based it on what I wanted and on my mood. It’s a luxury. ++ Follow Dorothée Hannequin / The Rodeo on Facebook and Twitter! ++ Christine Phung has prepared a capsule collection for summer 2016, with a new print from a collaboration with Philippe Decrauzat. Follow her on Facebook and Instagram!